Custom Imprinted Carabiners with Strap and Metal Plate are good as promotional gifts of travel companies, businesses and also fitness centers. As Carabiners can be easily attached to backpacks, belt loops and also duffel bag straps, everyone will like to carry these custom Carabiner keychains often. Available in a number of metallic colors, these custom keychains have a total size of 6 " x 1 3/4 ". 1 x 1/2", 2 x 3/16 imprint size and solid aluminum construction with metallic color finish are other highlights of these products. 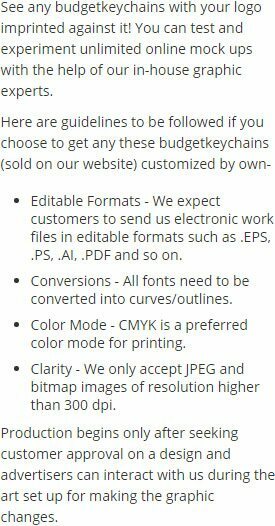 Order quickly to gain free artwork and free design services. 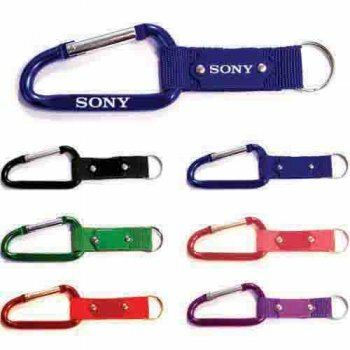 Request a quote to know the value savings that you can avail on bulk orders of Custom Imprinted Carabiners with Strap and Metal Plate. Product Size : 6 " x 1 3/4"